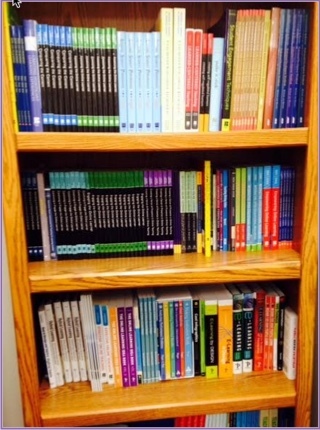 Over the past 5 years of this Title III grant we’ve acquired an excellent library on topics including Understanding by Design, Peer Review, Assessment, Teaching Online, well, you get the picture, we’ve collected a broad array of books. Many of these books Mary and I used when teaching ED593 so faculty who took that course have already seen many of these titles.Many of these were handed out to faculty at iTeach sessions. Chancellor Caulfield recently stressed something I hadn’t thought about much. We have UAA and satellite campuses. We have UAF and satellite campuses. Why don’t we have UAJ and two satellites? Why are we UA Southeast? He stated that this was deliberate. That UA Southeast was just that, one campus in three locations. We are in this business of educating students together. And, particularly in this tight budget environment, this becomes even more crucial to remember and to find solutions that help to bind us together, rather than push us apart. In this spirit, the Title III lending library is moving to the Egan Library to make it easily accessible to all faculty, Sitka and beyond. We hope that you’ll look over our titles and avail yourself of these great resources. We so appreciate our regional library and librarians. When will the books be available on the Juneau campus? They should be available by the end of September. Thanks for your interest!